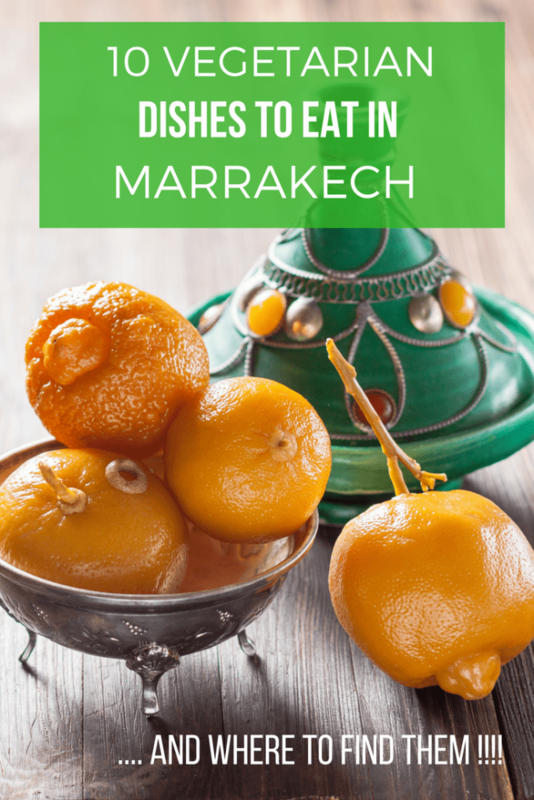 For many vegetarians visiting Morocco can be difficult, but it really shouldn’t be. Moroccan food is traditionally very heavy on vegetables and light, or completely absent of meat. However, the food found in restaurants is very different than the food served in homes. The presumption is that tourists want meat. So, many traditional dishes never see beyond grandma’s table and certainly don’t end up on restaurant menus. To help, I’m going to share some of my favorite vegetarian food in Marrakech that go beyond what you’ll find everywhere; vegetable tajine. I’ve chosen a mixture of Moroccan dishes and more international flavors. Where to Eat it: La Famille. This restaurant is tucked into the medina and is an oasis in the madness. They’re only open from 11-2 and everything on the menu is vegetarian so you can order whatever you’d like. It’s influenced by what’s in season and there’s a starter, pasta, and salad on the menu but they’re very special dishes. You’ll have to go to find out why. Where to eat it: Henna Art Cafe. Falafel isn’t a Moroccan dish (it’s from the Middle East) but when paired with taktouka, a pepper and tomato cooked salad it takes on a Moroccan flavor. Stuffed in fresh Moroccan bread you’re forgiven for thinking it is Moroccan in origin. The price is right too – you’ll find the prices here to be very reasonable for the quantity of food served. After you can have a henna tattoo done safely with natural ingredients. Where to eat it: NOMAD. This medina restaurant has gotten a lot of press for it’s innovative Moroccan menu. While I don’t love everything they offer this dish is good and is a vegetarian version of the usually meat or fish filled dish. There are a few other vegetarian options as well so you’ll have choices. Where to eat it: Un Dejuner a Marrakech. The hardest decision you make here might be what to order as there are multiple vegetarian options that are all different. This soup is one of my favorites and the addition of a soft boiled egg (not traditionally Moroccan) makes it a special, luxurious treat. Make sure there’s plenty of bread to soak it up! Where to eat it: Libzar. you’ll undoubtedly face many couscous’ if you’re a vegetarian in Morocco. But chef Assia Kabous brings to the table tradition and modernity with all of her dishes. If you want a lovely night out go here, order this and share with someone you love because couscous should never be eaten alone. Where to eat it: Mes’Lalla Mandarin Oriental. Not only are the surroundings beautiful but the food is too. Mes’lalla’s menu has something for meat eaters and vegetarians alike all packed with traditional Moroccan flavors but presented in a modern way. Ayaso is a great organic shop and cafe in Gueliz. Their menu changes based on seasonal produce. Along with food items there are also great juices and drinks available. Where to eat it: Cafe du Livre. This burger is made in house, and served with goats cheese, roasted red pepper and caramelized onion. It’s ideal if you’re tired of Moroccan and are looking for something different. Cafe du Livre also has a bar and regularly shows international sporting events as well as hosting a trivia night on Mondays. Where to eat it: Gaia. Everything at this restaurant is vegetarian and many items are also vegan and gluten free. Enjoy breakfast or lunch and a weekend brunch on Saturdays that is filling and delicious. There are also fantastic desserts (and always a vegan option) if you just want to sit down and have something to drink. Where to eat it: Cafe Clock. This is the name given for a starter that features a variety of Moroccan salads that, you guessed it, are vegan. While sold as a starter there is more than enough food to serve as a main dish but you can also order a bowl of their harira soup, that is also vegetarian friendly if you’d like just a little more. 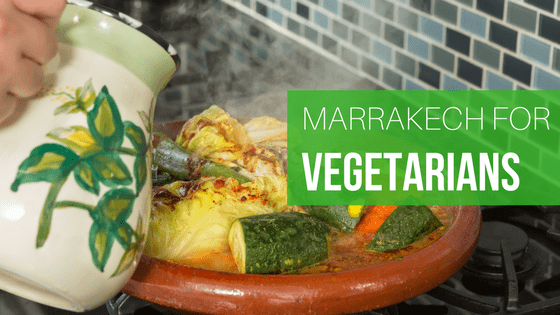 Vegetarian food in Marrakech isn’t as hard to find as you might think but you do need to think creatively and be willing to try things you might not normally consider! We are in Marrakesh, we visited the henna cafe and the food was delicious. There are also lots of gluten free options. I had the falafel and we also got brilliant tattoos! Another good place is the cafe in jardain majorelle. I had a lovely veg tagiene and skinny chips. So far so good. There is also a lot of fresh fruit around, oranges are amazing. Thanks for the recommendation. thank you so much for this article. 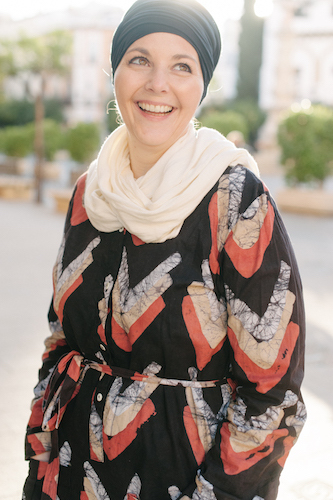 I am visiting Marakesh in late october and practice whole food plant based eating. I am wondering if your food tours could add this feature? Hi Val, we plan to offer a vegetarian tour in the future however specialty diets like this are limited in scope and difficult to accommodate I’m afraid.